So you’ve made the decision to renovate your kitchen. After careful months of design planning it is now time to enter the construction phase. Whilst there is no escaping the inconvenience of not having a fully functioning kitchen during your renovation, with the right approach and some smart forward planning you can make the transition as smooth as possible. In this month’s B&C Journal, we provide you with practical tips to help you through the kitchen renovation construction stage. During the planning phase the team at Balnei & Colina will provide you with a “project timeline” outlining key milestones and events for your kitchen renovation. Knowing what to expect and when, including expected delivery dates will help you better plan your lives so that there is minimal disruption to your daily routines and family activities. Complete a kitchen audit - take stock of items you need and throw out those you no longer use. This is a great opportunity to have a closer look at items you’ll keep for your new kitchen as well as thinking about where to place them. Run down your pantry - Rather than adding to your pantry get inventive with your meals and plan them around the pantry ingredients you already have. Remove any out-of date items. Outfit the corner of your garage, laundry, part of your living area or other suitable space for a provisional kitchen. Invest in disposable tableware - You can setup a dishwashing station but disposable plates, cups and cutlery will be easier to manage for the short term and there is no shortage of eco friendly disposable options to choose from. During a kitchen renovation, your cooking and eating routine will be disrupted so it’s important to keep things as simple as possible. Allocate a day a couple of weeks before your kitchen renovation begins, to plan and prepare frozen meals for the construction phase of your project. Constantly eating out can get tiring and you’ll want to ensure you consume some healthy meals throughout the process. Enlist the help of friends and family for an occasional fresh home cooked meal. Pack your remaining kitchen items into boxes and label them. This will make unpacking a little easier and more organised after your kitchen renovation. Seal up other areas of the home that will be affected by the building process, eg adjacent rooms, works of art or anything special. Rooms nearby may suffer from excess dust and building debris. Balnei & Colina will seal the work area off and cover carpet and stair treads with plastic sheets and place heaving lining on floors where necessary for protection. Balnei & Colina will help set up your fridge and freezer in your designated temporary kitchen space. Make sure everyone in your family is in the know. Tell them what to expect and when. Talk to your neighbours - There will be noise so it’s important to make your neighbours aware. Let them know what work is being completed and expected timeframes. Set up a designated dining space for meal times. Stay positive - Remember the outcome - a wonderful new kitchen to keep the renovation process in perspective. Still unsure about your next kitchen renovation? Leave it to the experts at Balnei & Colina. Balnei & Colina provide a complete renovation service from design, manufacture to construction, we’ve got you covered. We’ll guide you through every step of kitchen renovation so that the process is as simple and as smooth as possible. 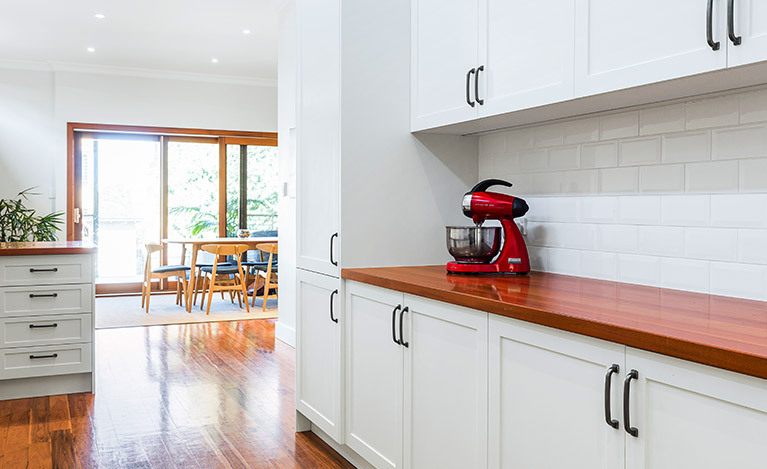 For more information about our kitchen renovation services or to book a design consultation, call 1300 450 320 or send us an email. 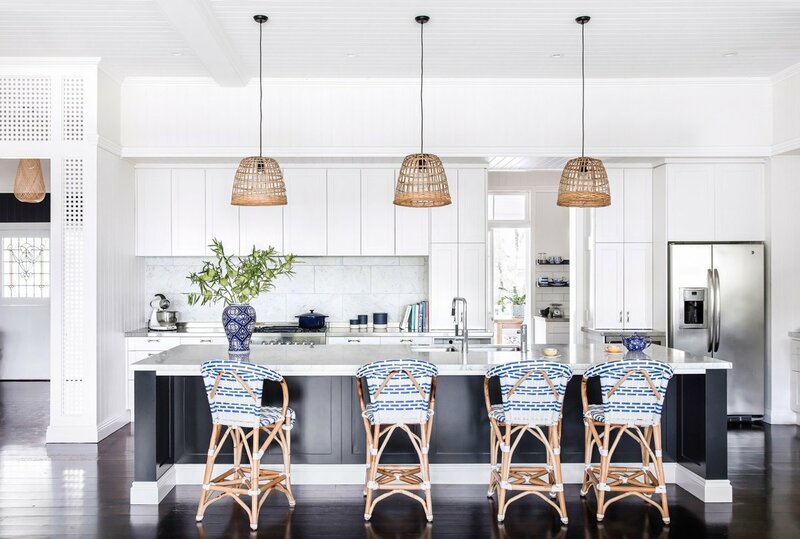 If you’re looking for further inspiration and ideas for your next kitchen renovation, signup to our newsletter or connect with us on Instagram and Facebook to stay up to date with the latest design trends.